Pewter spoons have been made for hundreds of years. In the 1400's - late 1700's, silver was too expensive for most people, so pewter was used as a substitute. 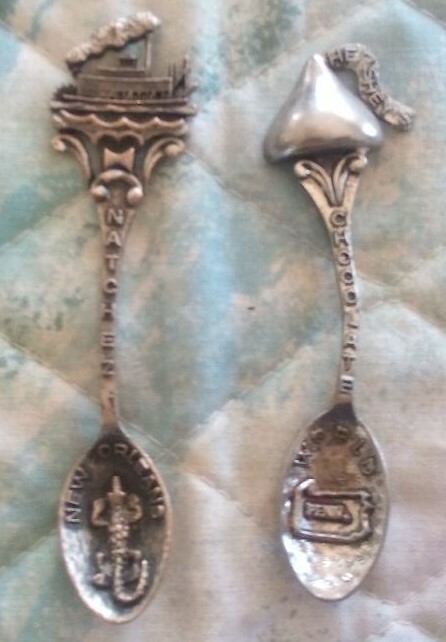 By the early 1800's pewter was no longer used for spoons as other cheaper metals were available. Pewter is a gray metal which is now an alloy of copper and antimony, however the older pewter spoons were made from tin and lead. It is NOT safe to eat food made with lead. 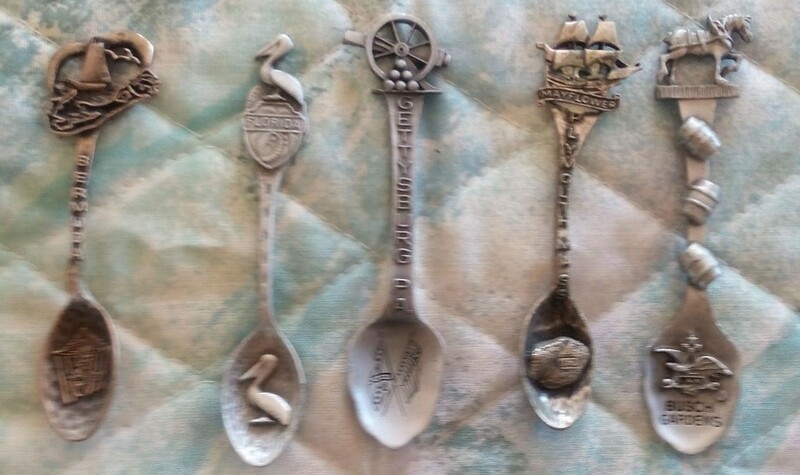 These are some cute souvenir spoons which were donated to the Spoon Museum by the estate of William L. Skinner. 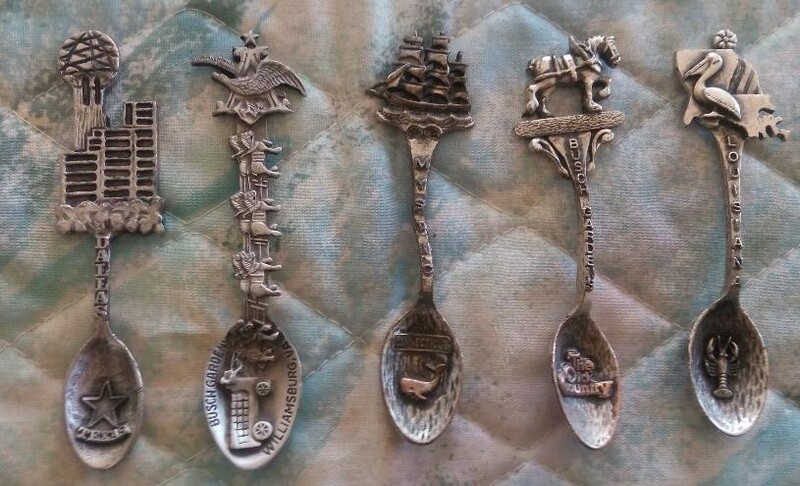 Modern pewter souvenir spoons are not rare nor expensive, and they are often heavy for their size and have nice three dimensional finials and bowls. 1. Dallas, Texas spoon featuring a huge building? 2. Hershey, Pa. featuring a cute Hershey kiss finial, 'chocolate' on the stem' and state outline in the bowl.